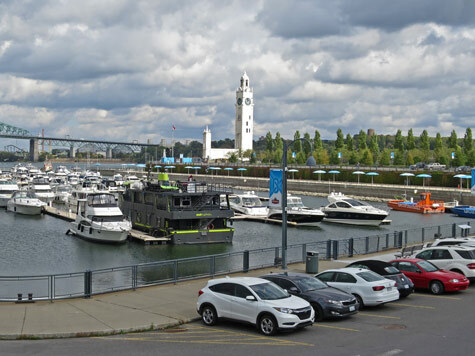 The Clock Tower at the Old Port in Montreal was built to commemorate the men of the merchant marine who were lost during World War I. Visitors can enjoy a pleasant view of the river from the tower. There is a sandy beach called Clock Tower Beach located next to the tower. It is a popular destination during the summer months. The Old Clock Tower is located behind the Bonsecours Market in Old Montreal (Vieux Montreal).